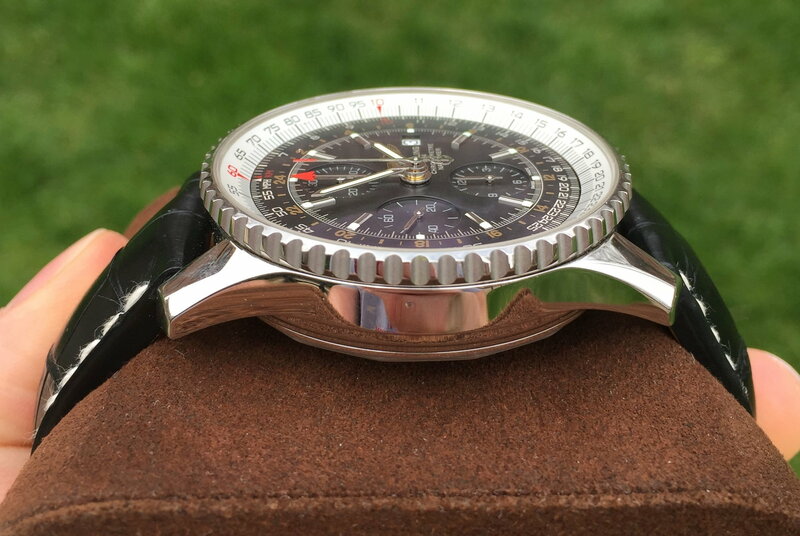 Up for grabs is my stunning Breitling Navitimer World GMT A24322 on a black crocodile strap. 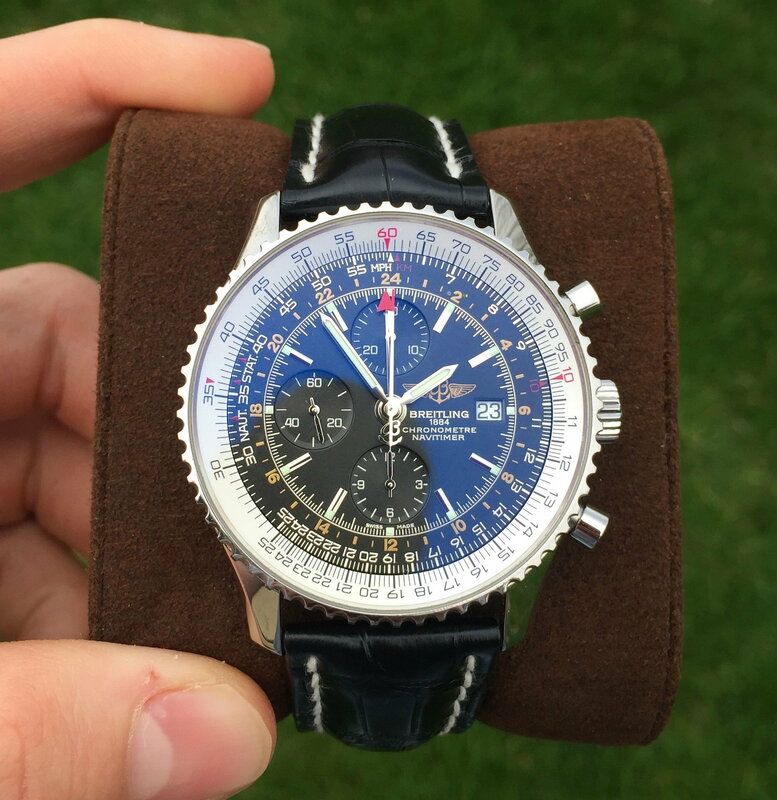 Priced to move, one of the lowest prices on the market for a mint condition Navitimer!This piece is in mint condition which is becoming very difficult to find on these pieces. The 46 mm case size makes this Navi versatile enough to look incredible on any wrist! 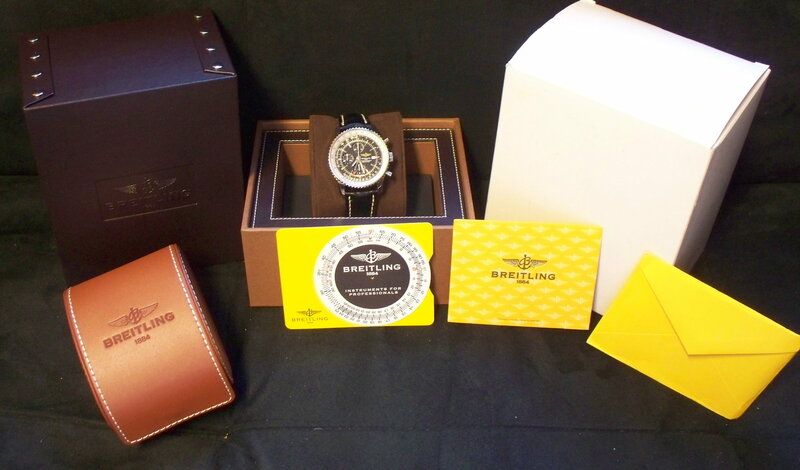 Don't pass up this opportunity to own one of Breitling's most classic and iconic pieces! Priced at $3700 shipped! Want to reach out for more info, more pictures, or anything else? 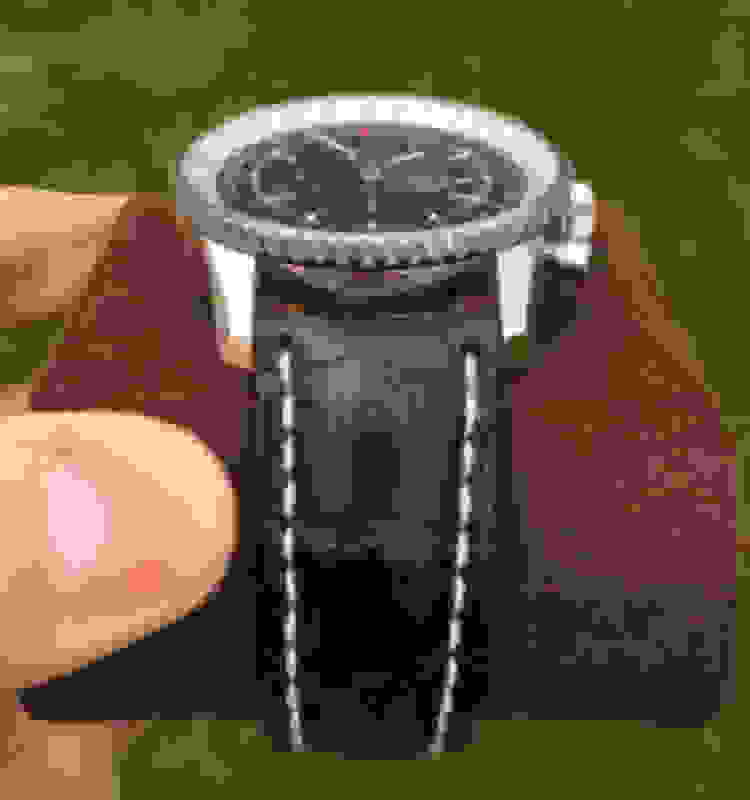 Email: [email protected] or text; 8036145313. References available to serious buyers! This timepiece features a 12 Hour Automatic Chronograph Chronometer, date function, small second dial, and Breitling clasp, gorgeous and bright lume feature, and GMT function. The watch comes with the original inner watch box (leather) and the outer watch box, as well as all boxes and accessory papers. Please pay attention to the pictures, as they accurately represent just how clean this piece is! 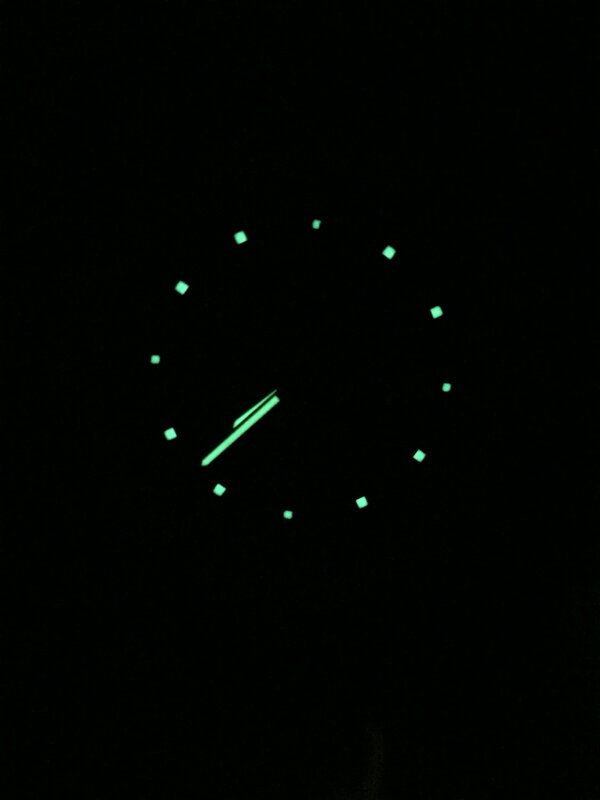 Cosmetically, this Navi is in stellar condition. The case is basically scratch free, and is in extremely good condition. 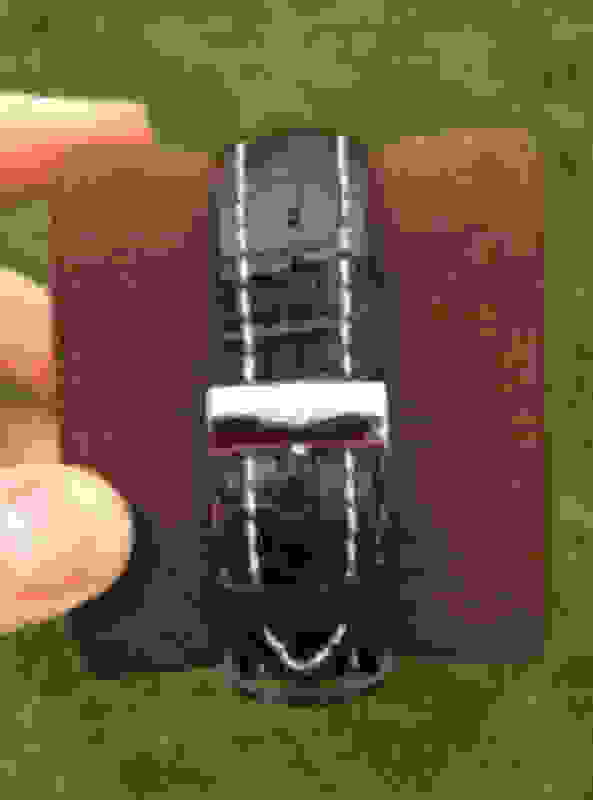 The crystal is in excellent condition, with no visible wear. All lugs are in great condition, with no dings anywhere. 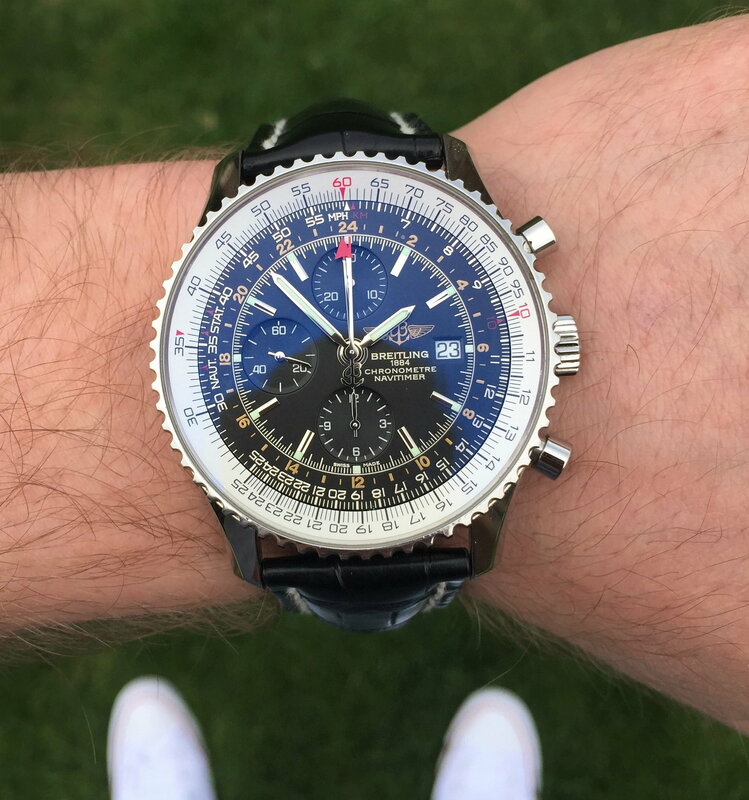 Both the main dial and all sub dials are in perfect condition and show no signs of fading, discoloration, or damage anywhere. 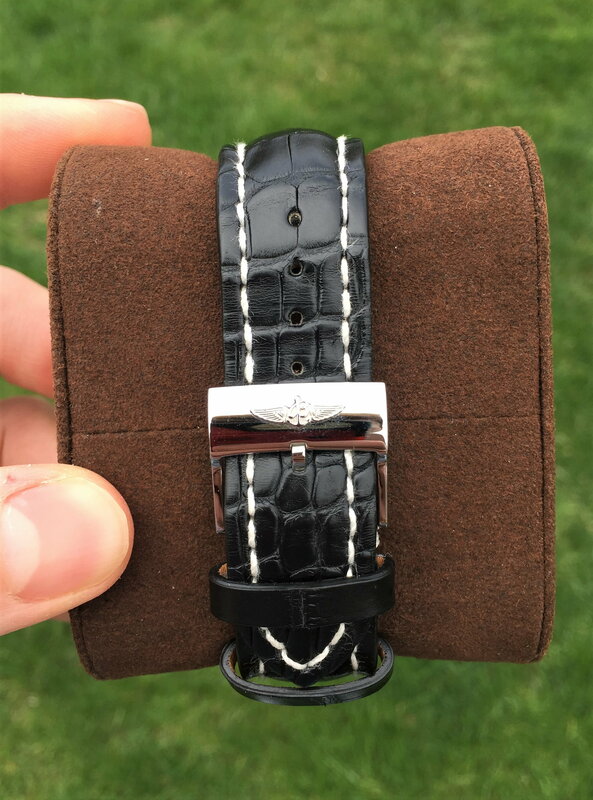 The black croc strap shows very little wear, almost like new with no damage to the leather and the white stitching fully intact at all points along the band. 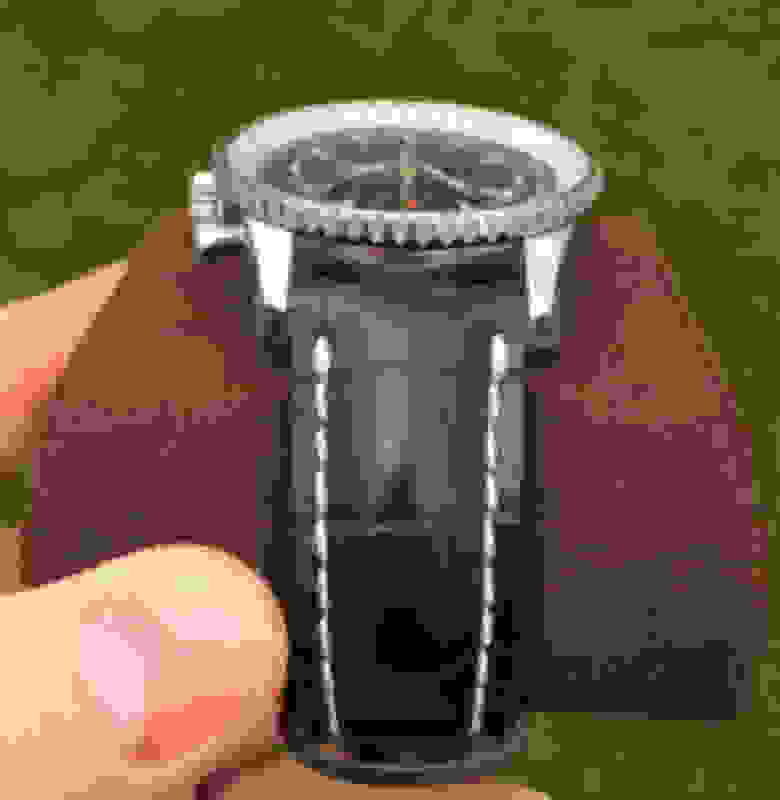 This piece is in perfect working condition and keeps time very well. The chronograph feature is fully functional and easy to use; all sub dials corresponding with the chronograph work as intended. All gaskets are in working condition, meaning that the waterproof seal is totally intact. 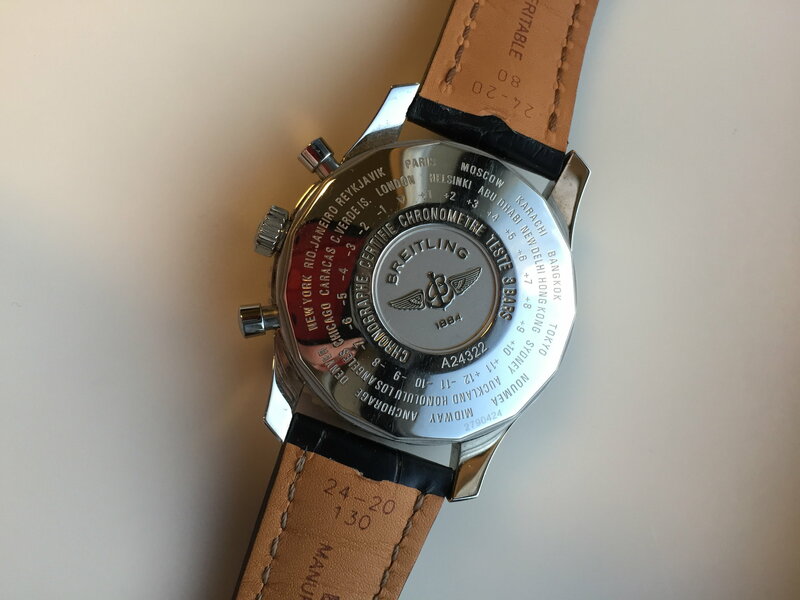 The Breitling deployment clasp is functioning as it should. My preferred method of payment is bank wire or PayPal plus 3%; US only please! I do accept returns, but I have a 20% restocking fee for all returns, with the customer paying return shipping. 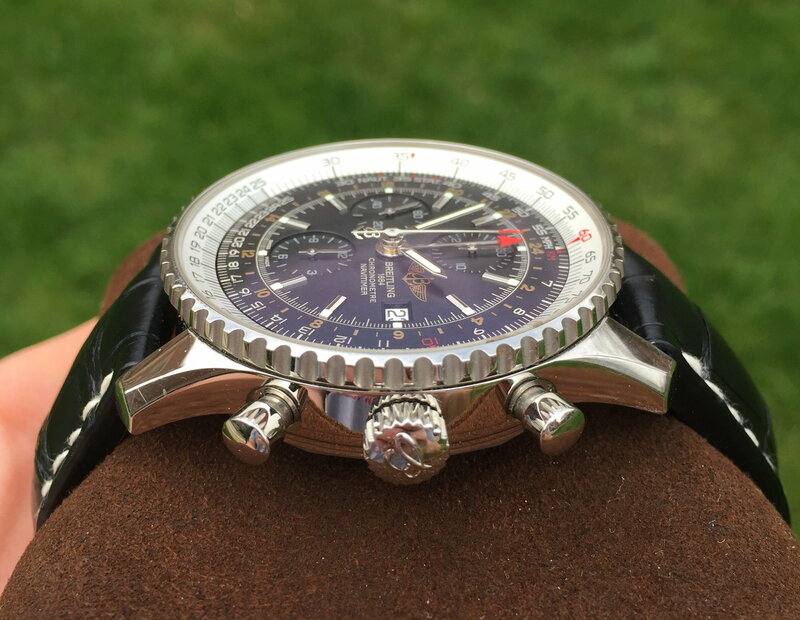 For Sale or Trade: Breitling Navitimer World Black Face & Croc Strap! FS: Breitling Navitimer World Croc Strap!